There's a problem with this comparison, though, and probably not one that you're thinking of. Most of these figures are final salaries, and these numbers are not mentioned in their actors' contracts anywhere. That is, there are two parts to what these actors earn in Marvel movies. First is a base salary. "Here's XXXX dollars for you to appear in a Marvel film." The second part is a back-end deal where they additionally earn a percentage of whatever profits the movies make -- for all the instances I've been able to find, it's been 0.2%. "Hey, the movie turned out really well and earned a boatload of money; here's a part of that as a bonus." Age of Ultron grossed $1.4 billion in theater tickets worldwide and another $80 million in video sales. With a production budget of $330 million, that leaves a little over $1 billion to spread around. A 0.2% bonus based off that is a nice $2 million, so even up-front base salary of $500,000 could still lead to an actor getting a multi-million dollar paycheck. All of this is noteworthy with regards to Boseman's leaked pay because the Black Panther number has to be an outlier. 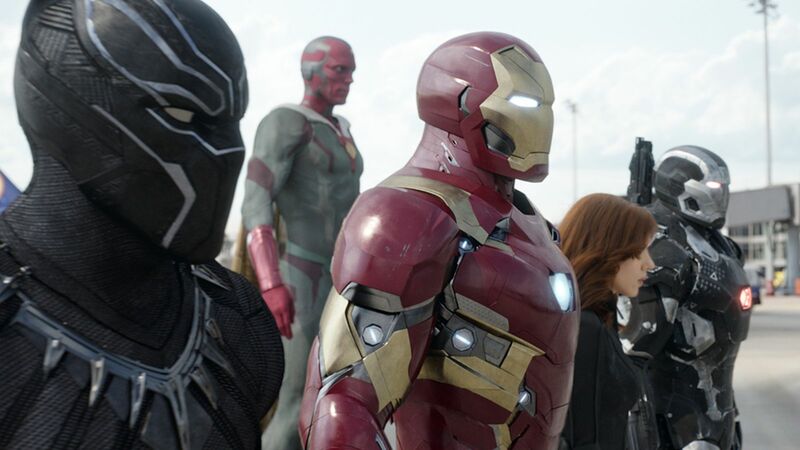 The $710,000 he earned on Civil War includes his back-end bonus deal. I've seen people estimate that his initial offering was in the $200,000 range. Which is about on par with other character's first appearances -- Chris Evans' initial offer in The First Avenger was $300,000 and Chris Hemsworth's first outing as Thor started him at $200,000. The Black Panther listing mentioned above can't possibly be Boseman's final salary since the movie has yet to be released and, therefore, has no profits accounted for. Which makes that initial list a useless basis of comparison; you're putting apples and oranges in the same bucket. An (ostensibly) initial offer next to initial-offers-plus-a-percentage-of-final-profits. Now, I am by no means suggesting that what Boseman is paid is fair and/or comparable to any of his peers. I expect that, if we were able to compare everyone's contracts directly, we would see that Boseman is indeed getting a worse deal than his melanin-deficient co-workers. But that $874,000 number isn't an accurate basis for saying that because that's not his final salary.